Scottsdale - Scott Spangler passed away on January 17, 2019 at a hospice in Scottsdale, Arizona. The cause of death was glioblastoma. He was 80 years old. Scott Michael Spangler was born on August 4, 1938 in Toledo, Ohio. He was the son of Walter Spangler, a lineman at Ohio Bell, and Martha (Hirscher) Spangler. He received an engineering degree from the University of Cincinnati in 1961, where he was president of Lambda Chi Alpha, and his MBA from Harvard Business School in 1963. Scott met Jean Schmonsees at a mixer in Cambridge, Massachusetts in 1962 and they were married on June 10, 1963. Following his graduation from Harvard Business School, Scott served as an MIT/Ford Foundation Fellow in the newly independent states of Ghana and Uganda, where he worked on fiscal and economic policy issues. Scott and Jean's first child, their daughter Karen, was born in Kampala in 1965. Upon his return to the United States, Scott held executive positions at Cooper Industries and the White Motor Corporation in Ohio, where Scott and Jean's second child, Scott Jr., was born in 1967. Scott and Jean moved to Texas in 1969, where their third child, Andrew, was born in 1970. Scott held a number of executive leadership positions for companies in Houston and Amarillo until 1978, when he was asked to lead AZL Resources in Phoenix. When AZL was sold in 1984, Scott founded the venture capital company First Phoenix Capital. In 1990, Scott accepted a position in the administration of President George H.W. Bush, serving as associate administrator and later acting administrator of the U.S. Agency for International Development. Following his service in government, Scott served as chairman of Chemonics International, a Washington-based consulting firm that provides technical assistance to developing countries. 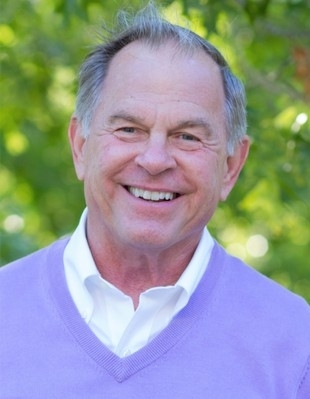 Throughout his career, Scott served on numerous corporate and philanthropic boards. He served as vice-chairman of Save the Children USA, and on the boards of Africare, Population Action International, World Resources Institute, United World Colleges, and the Grand Teton National Park Foundation. In recent years, Scott devoted a significant amount of his philanthropic efforts to the Valley of the Sun YMCA, reflecting a lifelong sense of gratitude to the YMCA dating back to his youth in Ohio. Scott was a member of the Young Presidents' Organization, the World Presidents' Organization, and the Chief Executives Organization. Scott's involvement in YPO/WPO/CEO was one of the highlights of his personal and professional life, and gave rise to many lasting friendships for both Scott and Jean. Anyone who knew Scott knew that he lived life to its fullest. He was a paragon of physical fitness throughout his life. A wrestler in high school, Scott engaged in a tremendous array of physical activities: running, swimming, golfing, hiking, paragliding, windsurfing, yoga, and weightlifting, to name a few. In 2006, Scott realized his dream of owning a ski home in Jackson Hole, where he was an avid skier every season. His grandchildren will always remember skiing the hard stuff at Jackson Hole with their amazing grandfather. His diagnosis of glioblastoma came shortly after he wrapped up the 2017-2018 ski season at the age of 79. Even in sickness, Scott tackled his physical therapy with the same indomitable spirit that he brought to all of his activities in life. Scott approached his diagnosis and treatment in the knowledge that he had lived a blessed and fulfilling life. He was a man who was deeply grateful for all that life had given him. Scott knew that his accomplishments in business were not only the result of his hard work and perseverance, but also the opportunities and support that others had provided along the way: the guidance counselor who told him to sit for the college admissions test when that was not high on the list of Scott's teenage priorities, the work opportunities that he had as a co-op student in college, the banks and investors that took a chance on him when he was starting his first businesses, the personal and professional support provided by friends and colleagues throughout his life. Above all, Scott lived life in a state of constant amazement that he was fortunate enough to have Jean as his wife. After 55 years of marriage, Scott still looked at Jean like a boy who couldn't quite believe that this girl had accepted his invitation to the dance. For a man of so many accomplishments, Scott's marriage and family were undoubtedly his greatest treasures. Scott passed away surrounded by their love and care. In addition to his wife Jean, Scott is survived by his daughter Karen and her husband Matthew Yeo, by his son Scott Spangler Jr., and by his son Drew and Drew's wife Beanie. He is also survived by his five beloved grandchildren: Simon and Ellie Yeo, and Sydney, Georgia, and Riley Spangler. He is further survived by his younger brothers, Steve and Jim Spangler, and their families. Memorial gifts may be made to the Barrow Neurological Institute, the Valley of the Sun YMCA, or the Grand Teton National Park Foundation. Memorial services will be held at Valley Presbyterian Church, 6947 E. McDonald Drive, Paradise Valley, Arizona on Friday, January 25 at 10:00 am.